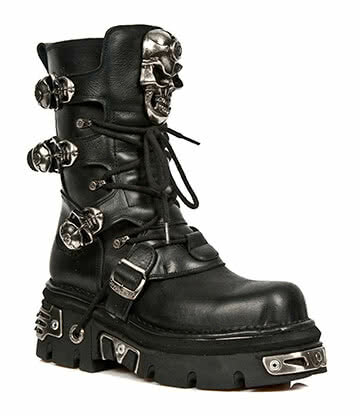 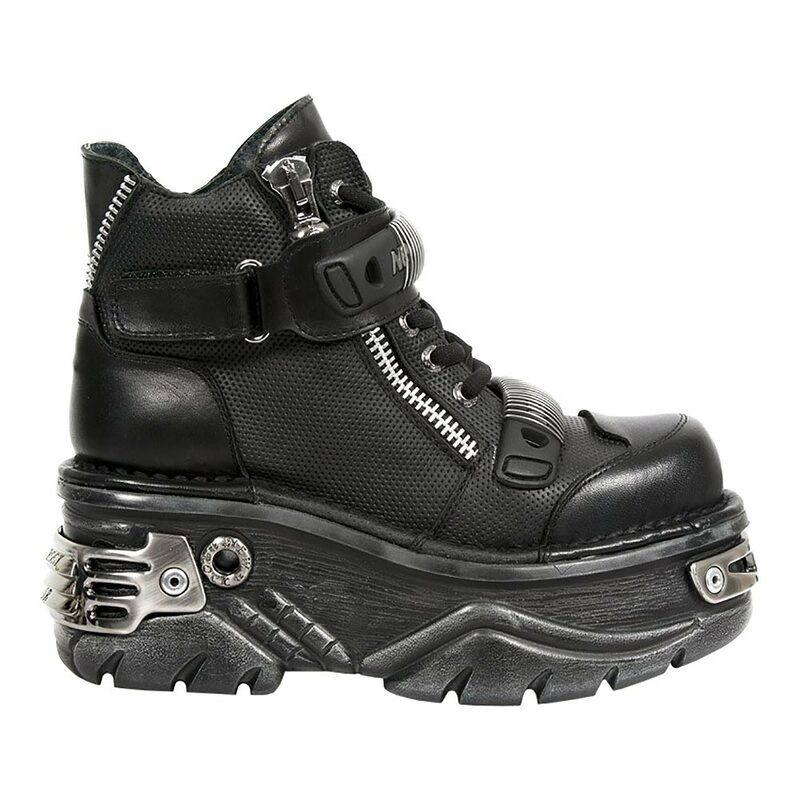 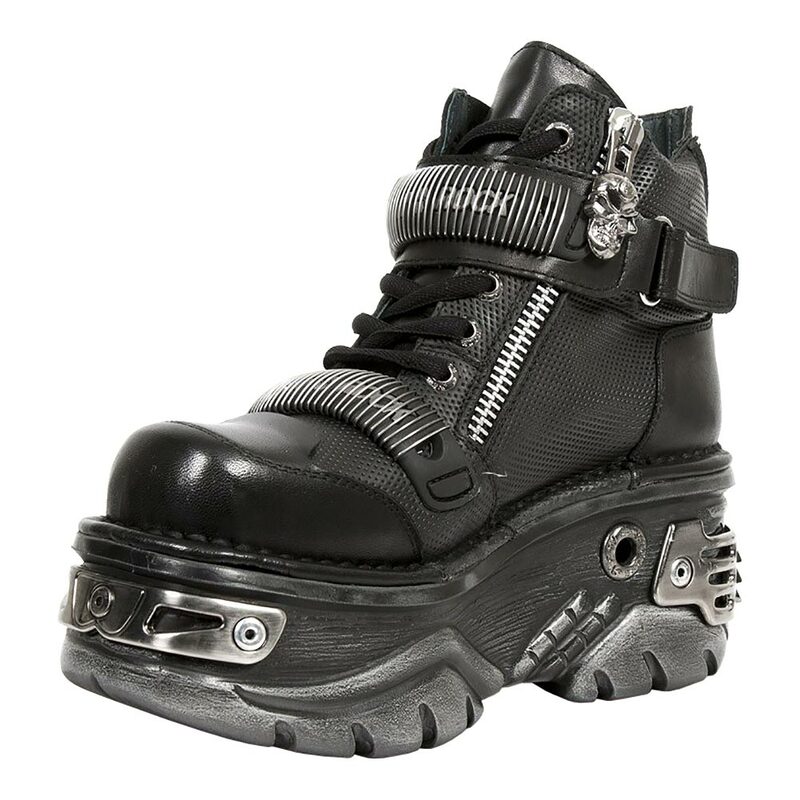 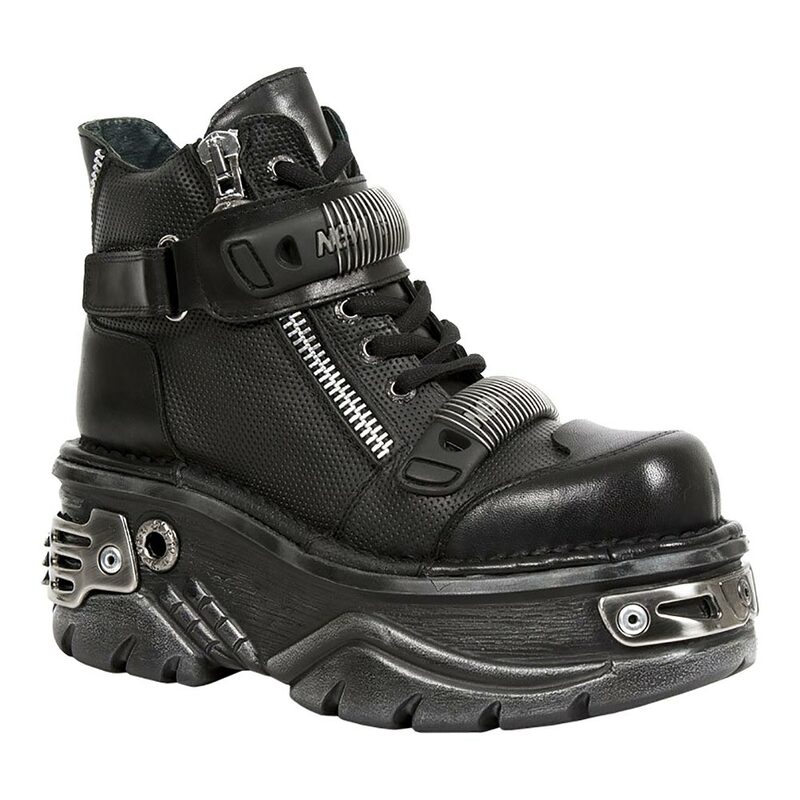 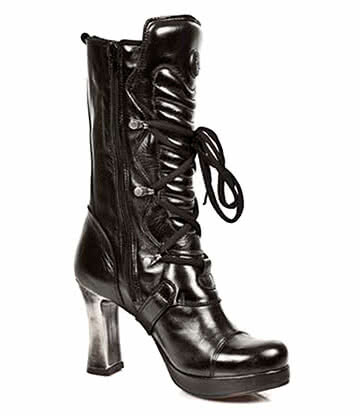 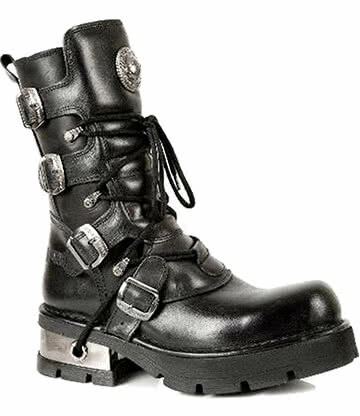 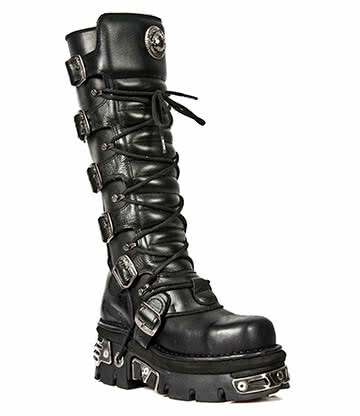 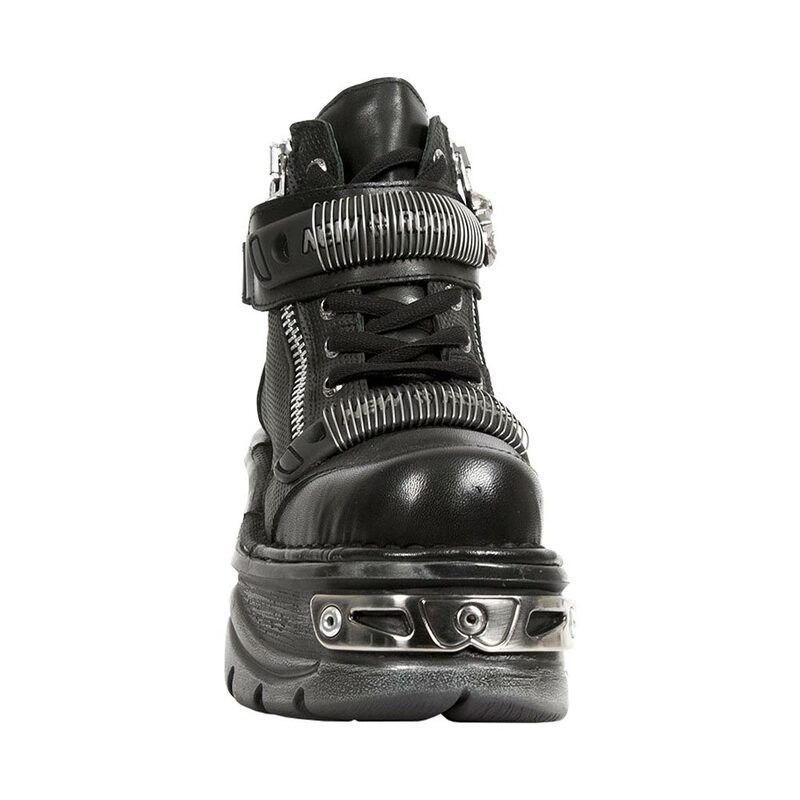 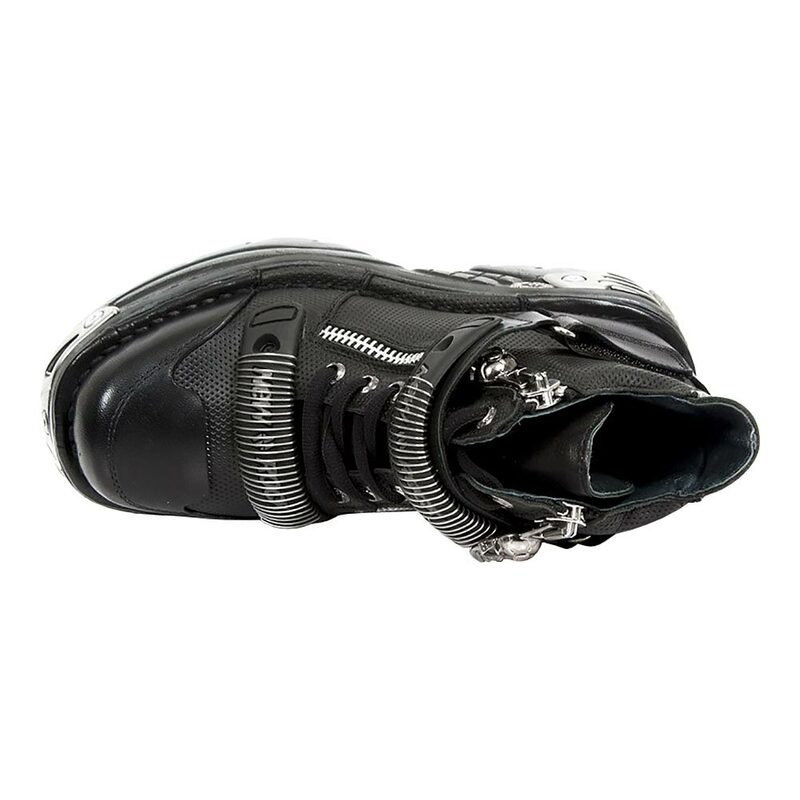 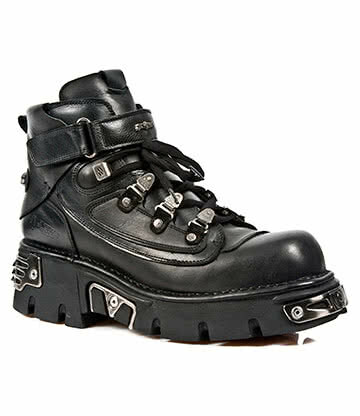 The New Rock Trail boot collection features a metal-look high heel with ridges. 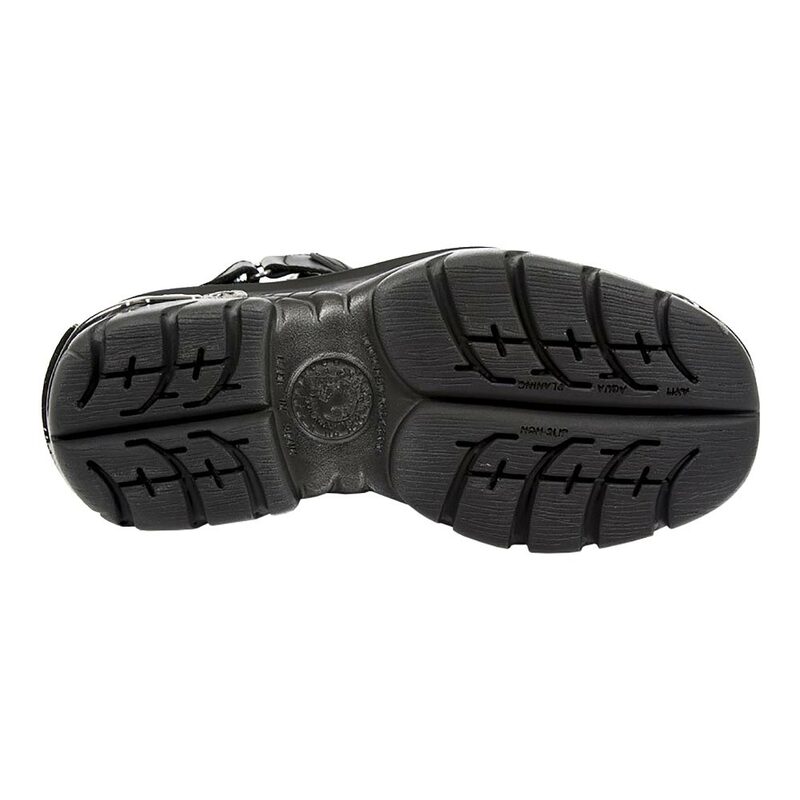 The block heel curves forward to maintain the balance on the middle of the foot, ensuring sleek style and plenty of comfort. 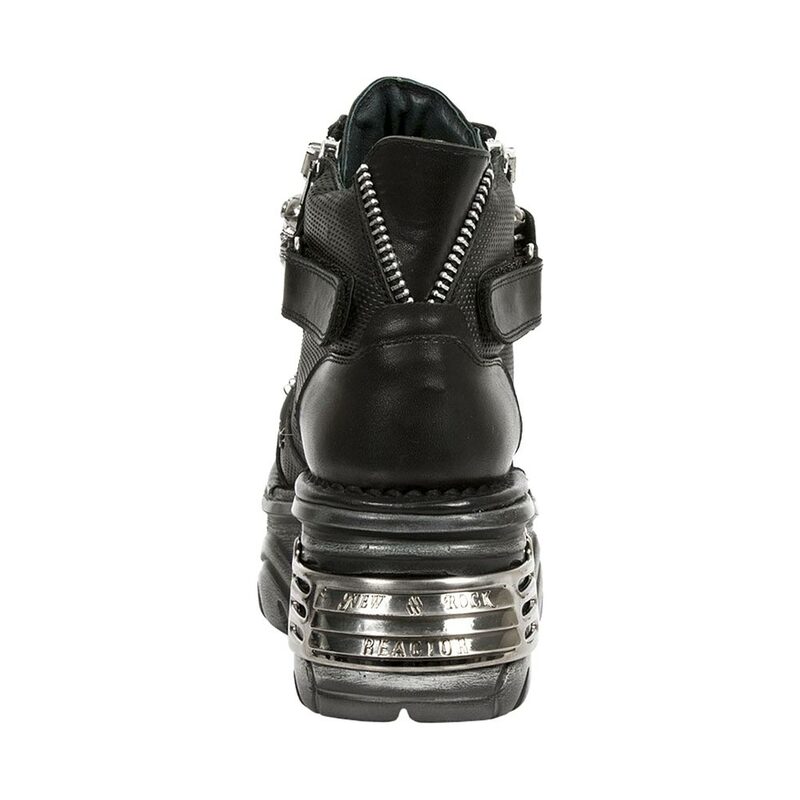 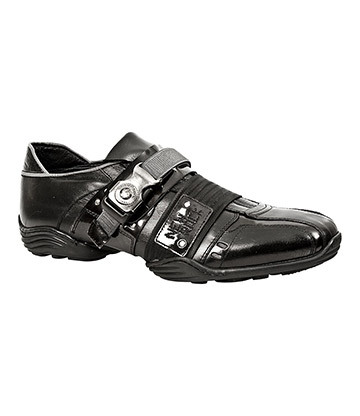 additional metallic details to the sole show-off that distinct New Rock style.